Nepal is a Hindu kingdom situated in the Himalayas between India and Tibet. The Nepalese are descendants of three major migrations from India, Tibet, and Central Asia. Among the earliest inhabitants were the Newars of the Kathmandu Valley and the aboriginal Tharus in the southern Terai region. The ancestors of the Brahman and Chetri caste groups came from India, while other ethnic groups trace their origins to Central Asia and Tibet, including the Gurungs and Magars in the west, Rais and Limbus in the east, the Sherpas and Bhotias in the north. The Kirats were the aborigines of the north-eastern Himalayas. According to Baburam Acharya, they came to Nepal in about 700 BC and ruled over it. They were short and had robust bodies, broad cheeks, flat noses, thin whiskers, and dark eyes. They were well trained in the art of warfare, and were very skilful archers. They were the ancestors of the present day Kiratas: - Kulung, Thulung and Yellung. Yalamber, the first Kirati king of Nepal belonged to the Yellung clan. Altogether, there were 29 kings of this dynasty who ruled over Nepal for about 1225 years. According to the chronicle (Bamsavali) of Kirkpatrick, Kiratas ruled over Nepal from about 900 BC to AD 300. On the basis of the Puranas and other ancient religious texts, it is presumed that the Kiratas ruled in Nepal after Gopal and Mahipal. Yalamber defeated Bhuvan Singh, the last king of the Ahir dynasty and established Kirat rule in Nepal. He extended his kingdom as far as the Tista river in the east and the Trishuli in the west. It is said that during the battle of Mahabharata, Yalamber went to witness the battle with a view to take the side of the loosing party. Krishna, knowing the intention of Yalamber and the strength and unity of the Kiratas, thought that the war would be unnecessarily prolonged if Yalamber sided with the Kauravas. So, by a clever stroke of diplomacy, Krishna cut off Yalamber's head. Gautama Buddha, a relative of the king of Magadha, visits the Nepal Valley during the reign of Jitedasti. Played host to Ashoka Maurya in about 250 BC. The Chedi kingdom of Kalinga in India expands until its northern borders reach Nepal. Came under attack from the Soma kings. The Soma establish a principality in the west of Nepal while the Kirati kings continue to rule over the Nepal valley. Gasti is the last Kirati king. He is defeated by the Soma king, Nimisha, and Kirati rule comes to an end. Nimisha becomes the first king of the Soma Period. The Soma had established a principality in the west while the Kirati kings were ruling over the Nepal valley. The Soma kings attacked Nepal several times during the reign of Patuka, but they could not defeat him. The last Kirati king, Gasti, was comparatively weak, so he was defeated by Nimisha, who became the first Soma king of Nepal in circa AD 205. Bhaskerverma was the fifth and last Soma king to rule over Nepal. It was he who led a military expedition which reached Rameswaram, the southernmost part of India. He amassed a vast wealth in treasure from this campaign. With this wealth he made a gold-plated roof for the temple of Pashupatinath and developed the economic condition of his kingdom. He filled Devapatan with his wealth and named it 'Swarnapuri'. He was childless, so he made Bhumi Verma his heir. A member of the Lichchhavi dynasty, this meant that the Soma dynasty had come to an end. Conquered the Kirati. Soma principality became a kingdom. Bhaskerverma's adopted heir is a Lichchhavi, so with the king's death the Lichchhavi replace the Soma. During the time of Gautama Buddha, the kings of the Lichchhavi dynasty were ruling over Baisali (Muzaffarpur, in modern Bihar in India). Baisali had a partly democratic form of government. According to the later inscription by King Jaya Dev II, Supushpa was the founder of the dynasty, but he was defeated by Ajatashatru, the powerful Magadha king, in the fifth century BC. When the kings of the Kushan empire became powerful in India, the Lichchhavis migrated to Nepal. The twenty-fourth descendant of King Supushpa, Jaya Dev II, re-established the rule of the Lichchhavis in Nepal. Brisha Dev was another powerful member of the dynasty who greatly extended his territory. 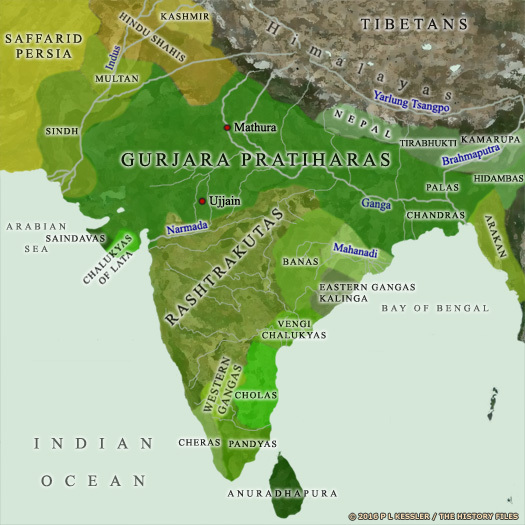 Chandra Gupta I, the Gupta Indian emperor, was alarmed of the rise of Brisha Dev. However, he preserved the sovereignty of India by the use of politics rather than warfare. He visited Nepal and married Kumara Devi, the daughter of Brisha Dev. Kumara Devi gave birth to Chandra Gupta's successor, Samundra Gupta. Some historians are of the opinion that it was Bhasker Verma, not Brisha Dev who was the father of Kumara Devi. Mana Deva is considered to be the first king of Nepal having historical authenticity. Adopted heir of the last Soma king. Son. Held back the rise of the Mallas. Mana Deva is only a small boy when he ascends the throne. Taking advantage of this, the Thakuri governors of the eastern provinces rebel and try to win independence. Mana Deva suppresses the rebellion forcefully. Then he marches towards the west and occupies many provinces there. With the help of his maternal uncle he invades Mallapur, across the Gandaki river, and annexes it to the kingdom. With this his kingdom is extended up to the Himalayas in the north, to the other side of the Gandaki in the west, and to the Koshi in the south. Son. Shared administration with Amshuverma. Amshuverma is of the Thakuri clan, so when his father-in-law dies he becomes sole sovereign and begins a new dynasty. With the death of Amshuverma, the Lichchhava blood line is restored. Son-in-law of Shiva Deva of the Lichchhava. The re-establishment of the Lichchhavi line witnessed a period of weakness in Nepalese royalty, with control of the country being lost to the Avir/Ahir. Son Shiva Deva of the Lichchhava. Took shelter in Tibet. Brother. Usurped the throne. Puppet king. Jisnu Gupta, chief of the Avir (or Ahir), helps Dhruba Dev to acquire the throne with the result that Jisnu Gupta himself gains most of the power. Dhurba Dev rules from Mangriha and Jisnu Gupta from Kailashkut Bhavan. Administrative authority is in the hands of Jisnu Gupta with Kailashkut Bhavan becoming the administrative centre of the country. Eventually, Jisnu Gupta becomes the de-facto ruler. He mints coins in his name as Amshuverma had done, and declares himself king of Nepal. Descendant of Amshuverma. Puppet king. Bishnu Gupta, son of Jisnu Gupta, is the power behind the throne. King in exile in Tibet. Son. Regained throne with Tibetan help. Son. m Betsa Devi, daughter of Bhogaverma of Magadha. Nepal, or at least some southern and eastern parts of it, is counted as a vassal state of the great Pala dynasty of Bengal. Weak king. Defeated by the Mallas. After at least 600 years as a minor power in Nepal, the Mallas now rise to full power, ruling all of Nepal. Very little is known about the early history of the Mallas. It is quite difficult to trace their origins. Their name is said to have come about because the first of their rulers to govern all of Nepal, Arideva, was very fond of wrestling. He added the word 'Malla' (which means wrestling), after the name of his son when the news reached him of the birth while he was himself wrestling. His successors continued to use the word after their names, so it became the name of their dynasty. However, more concrete sources point to the name having existed much earlier, most pointedly the Lichchhavi inscriptions. 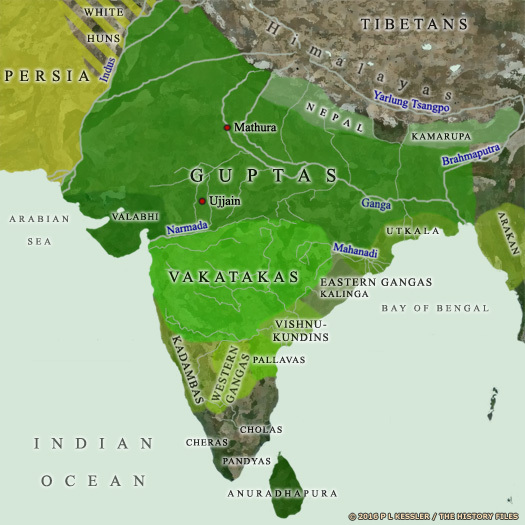 The Mallas had their partly democratic form of government based at Kushinagar, Pawa, and in the neighbourhood of Vaishali before the sixth century BC. Although they held sub-kingdoms by the late 400s AD, they were held back by the Lichchhavi kings. Conquered the weak Lichchhavi king. The kingdom is divided between two sons into Bhadgaon and Patan & Kathmandu. Son of Abhay. Ruled Patan & Kathmandu. Kumbh Karan, the son of Samar Singh of Mewar, migrates to Nepal (where his descendants become the Nepalese royal family). Became de facto ruler during Jayri Malla's reign. Mother of Jayrudra Malla. Temporary co-Regent. Daughter. Declared by her mother to be the rightful heiress. Placed on the throne by Devala. Placed on the throne by Devala. Imprisoned by her. Daughter of Devala. m to Jaysthiti Malla. Ruled as a regent to his wife. Also became king of Bhadgaon. Jaysthithi Malla is the strong, decisive ruler that Nepal needs. He enacts a series of reforms that reunites the country and strengthens it. A single Malla monarchy rules Nepal. Son of Abhay. Ruled Bhadgaon. The uncrowned monarch of Patan & Kathmandu. Regent and later ruler of Patan & Kathmandu. First son. All three shared power. Second son. Assumed supreme power when brothers died. A great conqueror, Yakshya extends the boundaries of Nepal as far as Bengal in the east, Kerung and Kuti in the north, Gorkha in the west and North Bihar in the south. Banepa is also pulled into his kingdom. He makes the fatal mistake of dividing his kingdom between his six sons: Raya Malla, Ratna Malla, Rana Malla, Ari Malla, Purna Malla, Ram Malla, and a daughter, Dharmavati. Raya Malla is given the kingdom of Bhaktapur; Ratna Malla obtains the kingdom of Kathmandu; Rana Malla, the kingdom of Banepa; and Patan is given to Dharmavati. In due course, these tiny kingdoms prove not to be able to maintain their independence and sovereignty. There are internal struggles and jealousy amongst the rulers. Ultimately, in 1768, all the small kingdoms fall into the hands of Prithivi Narayan, shah of Gorkha, who unites them into a nation. Ruled in name only from 1737. The kingdom of Gorkha (Ghurkha), under Narabhupal Shah, begins to fight a war of unification against the other Nepalese states, slowly forging a more unified state. A shock defeat in 1737 leaves its king a broken man. Prithivi conquers Nuwakot and Belkot. Ghurkha ruler Prithivi Narayan Shah conquers Kathmandu and creates a reunified kingdom. The conquests of the Ghurkha leader, Prithivi Narayan Shah, created a unified Nepal that was ruled by his descendants for the next two and-a-half centuries. Kathmandu was captured in 1768 and became the newly reunified state's capital. This ended almost three hundred years of division following Yakshya Malla apportioning parts of his kingdom to his six sons. The Anglo-Nepalese War culminates in a treaty with Britain which establishes Nepal's modern boundaries. Nepal falls under the sway of hereditary chief ministers known as ranas, who dominate the monarchy and cut off the country from the outside world. A treaty with Britain affirms Nepal's sovereignty. Anti-rana forces based in India form an alliance with the monarch. King Tribhuwan is forced into exile in India along with most of his relatives, and the infant Gyanendra is briefly placed on the throne. End of rana rule. The sovereignty of the crown is restored and anti-rana rebels in the Nepalese Congress Party form the government. A multi-party constitution is briefly adopted before the king suspends parliament and takes sole charge in 1962. Murdered by Crown Prince Dipendra. Democratic politics is introduced after popular protests, but it is extremely factionalised with frequent changes of government. On 1 June, Crown Prince Dipendra dresses up in combat uniform and arms himself with five selected weapons. He calmly guns down his parents, King Birendra and Queen Aishwarya, his sister Princess Shruti, his younger brother Prince Nirajan, and a cousin, Princess Sharada. Several other relatives are wounded. Dipendra himself is finally shot by persons unknown (either by his own hand or the slow-reacting palace guard) and lays comatose until 4 June. Despite his actions, Nepal's unbending protocols see him sworn in as successor to the throne. Son. Died 4 June without regaining consciousness. Uncle. Previously king 1950-1951. Monarchy abolished. Gyanendra fights politically and militarily again Maoist rebels. A state of emergency is declared as the king shrewdly manages affairs to secure the monarchy's position. Public pressure forces the king to end his direct rule of the country in 2006. A peace deal is agreed with the Maoists in December. The Maoists join the interim government in early 2007 but withdraw again in September, demanding the abolition of the monarchy. Parliament agrees to this condition in December, and the rebels rejoin the government. After more than a millennium of rule, the monarchy is formally abolished on 28 May 2008. The modern state of Nepal is a federal democratic republic. It is largely dependent upon agriculture, but deforestation is now a serious problem as a result of land clearances. It has its capital at Kathmandu and a population in 2015 of approximately thirty one million. A land-locked state set high in the foothills of the Himalayas, the country is neighboured by Chinese-occupied Tibet to the north, by Bangladesh and Bhutan to the east and south-east, and by India along all other borders. Nepal underwent a period of turmoil and uncertainty following the mass murder of a large part of the royal family in 2001. Commanded by King Gyanendra, brother of the late king, the country seemed to be losing ground against Maoist rebels, and a state of emergency was declared in 2001-2006. An interim government was formed in 2007 and the Maoists were elected to power in 2008. Their first major action was to declared the abolition of the country's thousand year-old monarchy. The king discovered that his role had been ended on 28 May 2008, with a republic taking the place of the monarchy. Gyanendra was ordered to leave the royal palace within fifteen days. He and successive royal claimants are shown with a shaded background. The Maoists emerge as the largest parliamentary party after elections in April 2008. Their first major act is to abolished the monarchy a month later, and a Maoist-dominated government takes office in August. A president is elected to replace the monarchy as head of state, but the position is largely ceremonial. 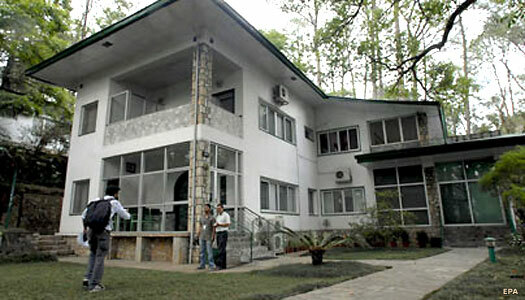 Gyanendra and Queen Komal are given Nagarjuna Palace as his residence, whilst the royal residence of Narayanhiti Palace in Kathmandu is converted into a museum. Political instability continues to plague Nepal. Politicians are unable to agree on a new constitution - a key part of the peace deal with the Maoists - and are at odds over proposals to divide Nepal into states, along ethnic lines. Nepal is also at odds with neighbouring Bhutan over the repatriation of thousands of Bhutanese refugees who are of Nepalese descent and who fled violence in Bhutan in the early 1990s. The Maoists-led government collapses after failing to make any progress with the constitution. They are trounced in the 2013 election, coming third. The Nepali Congress is the country's largest political party, and its leader, Sushil Koirala, is elected prime minister by the Nepali parliament or constituent assembly in February 2014 (the fourth member of his family to hold this office under monarchy and republic combined). He promises to draft a new constitution but relies on the support of the second-placed UML.